Used to be that Tide was considered the best laundry detergent out there, until about two years ago, when European import Persil took up that mantle. Now they seem to be running very closely in performance. Amazon has got this 2-pack of 75 oz. 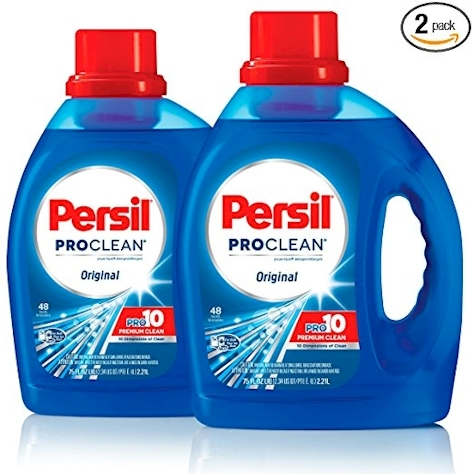 Persil Pro-Clean Power-Liquid Laundry Detergent for as low as $12.96 when you stack a high-value 20% coupon with Subscribe & Save discounts.